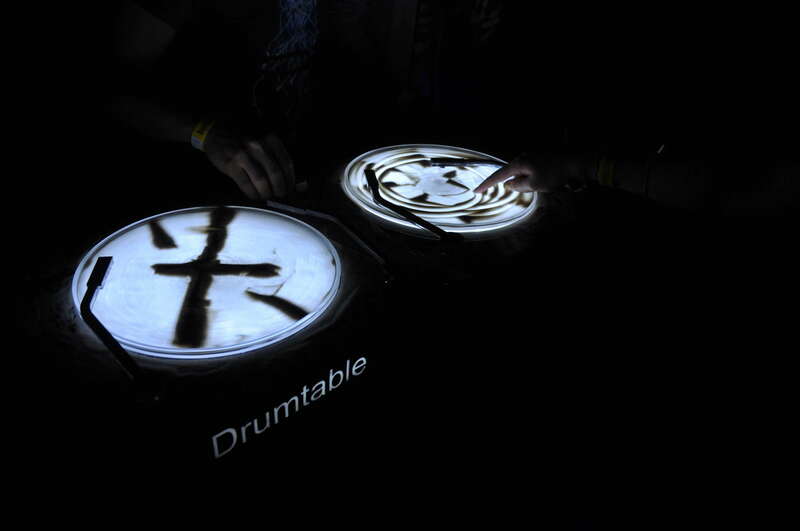 Drumtable uses the conglomeration of sand particles as a non-volatile, yet unstable memory and as an interactive medium. 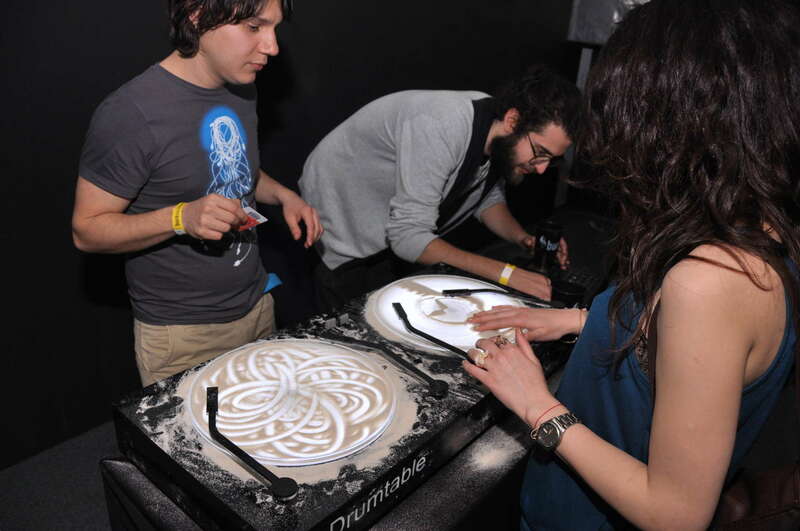 In the absence of other external factors, the arrangement in the sand can render the audio sequence until the pattern described in the sand is changed. 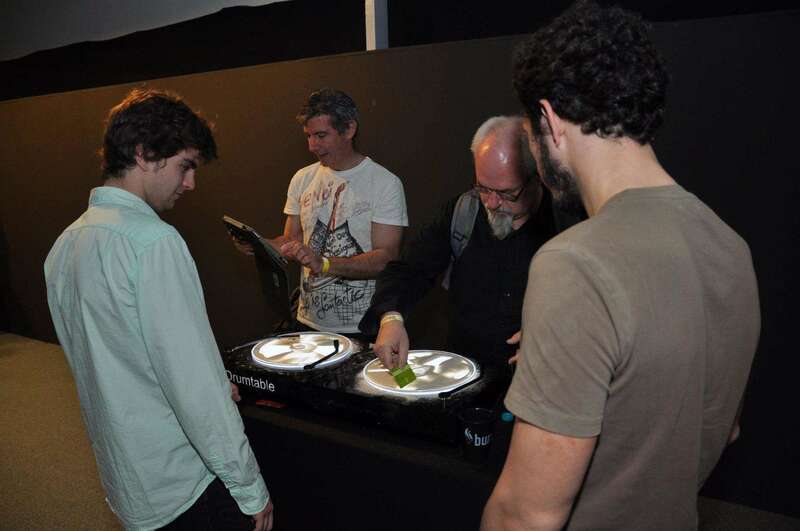 The interaction functions by detecting the contrast differences between the sand zones and the backlit surface. 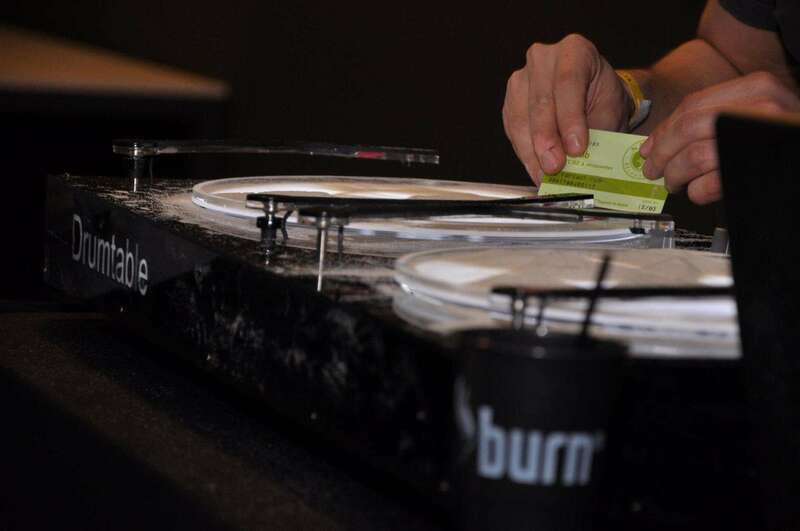 The resulted signal is sent through the midi protocol of any software that can command the launch of an audio sample. 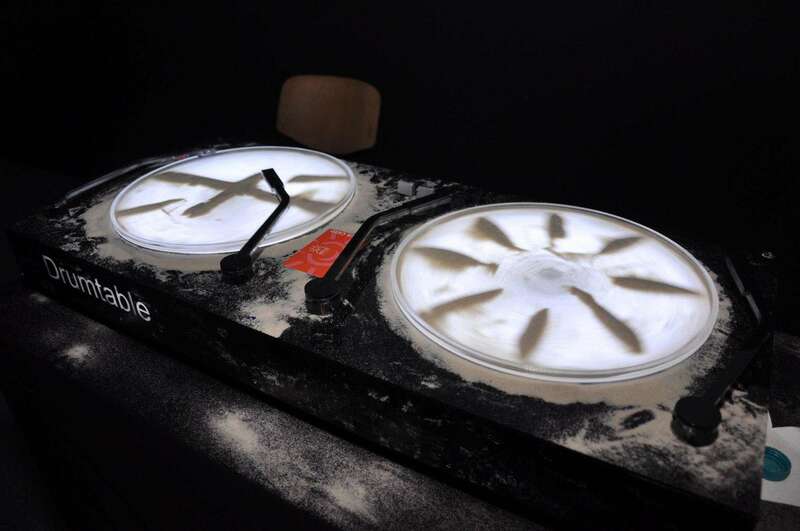 Silicon (sand) is the element that stands at the basis of all new tech processes, from computers to photo cameras. 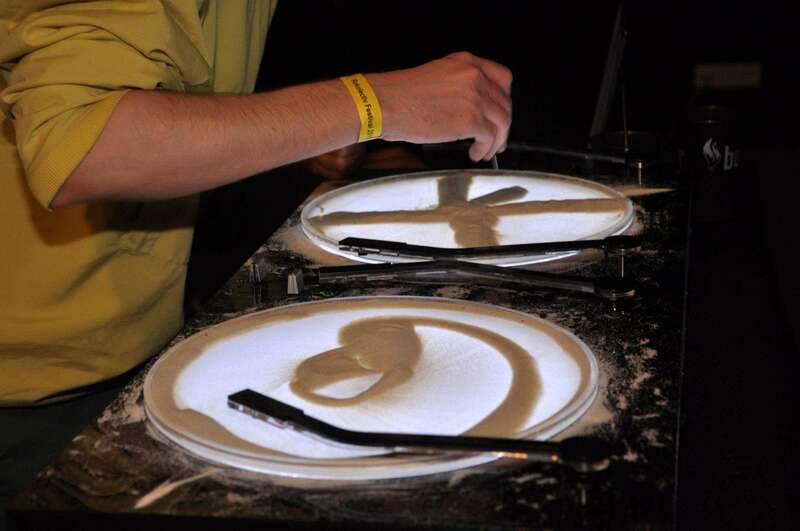 Drumtable uses this element, analogically manipulating it in a playful manner – in order to interact with the installation, the user has to practically draw in the sand in order to create the sounds). Modern technology offers us the possibility to regress the material so that you can use it in its row form, creating a new form of interaction.